A well respected translator of Russian fiction, Schwartz was determined to give us Anna Karenina as Tolstoy wrote it: In the simple, unadorned language he preferred. I found this translation immensely powerful - bringing me to tears at times. It is also illuminating -revealing nuances in the characters I'd never before grasped. The cogent introduction by Gary Saul Morson, which summarizes the novel's central themes, provides a great starting point for book club discussion. 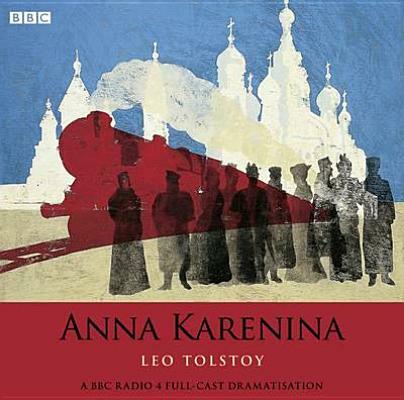 Tolstoy's story of one woman's fate is brought powerfully to life in this BBC Radio full-cast dramatization starring Teresa Gallagher and Toby Stephens. Anna Karenina enjoys a privileged and aristocratic lifestyle as the wife of influential government official Alexy Karenin. Yet their 10-year marriage is devoid of tenderness, and when Anna falls in love with the handsome Count Vronsky they embark upon a deep and passionate affair. Reflecting the social conditions of the era in which it was written, Tolstoy's masterpiece sets a doomed love story against a harsh and unforgiving backdrop. Leo Tolstoy entered the University of Kazan in 1844 to read Oriental Languages and later Law, but left before completing a degree. He spent the following years in a round of drinking, gambling, and womanizing, until weary of his idle existence he joined an artillery regiment in the Caucasus in 1851. He took part in the Crimean war, and after the defense of Sevastopol wrote The Sevastopol Sketches, which established his literary reputation. After leaving the army in 1856 Tolstoy involved himself in the running of peasant schools and the emancipation of the serfs. His marriage to Sofya Andreyevna Behrs in 1862 marked the beginning of a period of contentment centered around family life; they had 13 children. Tolstoy managed his vast estates, continued his educational projects, cared for his peasants and wrote both his great novels, War and Peace and Anna Karenina. A Confession marked an outward change in his life and works; he became an extreme rationalist and moralist, and in a series of pamphlets written after 1880 he rejected church and state, indicted the demands of flesh, and denounced private property. His teachings earned him numerous followers in Russia and abroad, and also led finally to his excommunication by the Russian Holy Synod in 1901. In 1910 at the age of 82 he fled from home, dying some days later at the station master's house at Astapovo.